This is another part of Spitsbergen. No nature reserve, no ice, no impressive landscape, an old Russian mining settlement. 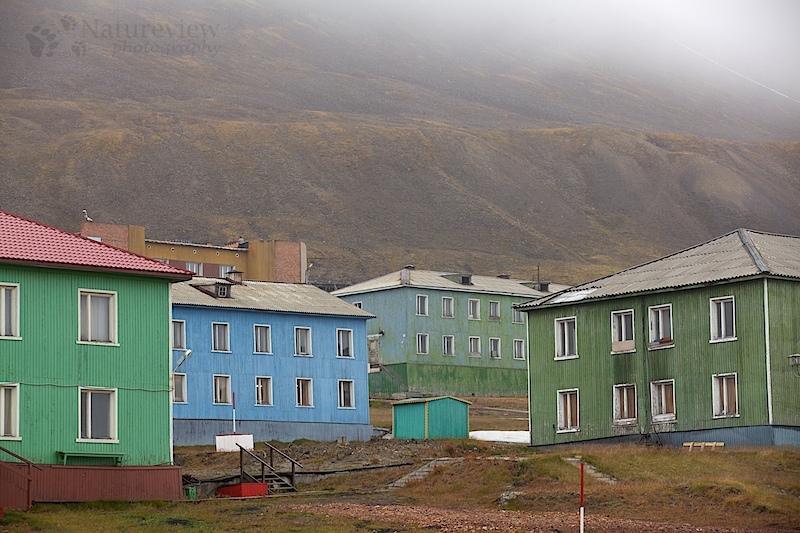 In contrast to Pyramiden, the other Russian settlement, is Bartensburg still inhabited. Around 400 Russian miners work and live there. However, the settlement used to house over 1000 inhabitants, so there are many more buildings. Some of them are well maintained, while others are almost falling apart. As the place itself is quite sombre, as most high Arctic mining communities, so they tried to brighten it up a little with nice colored buildings and even some paintings of forests on some of the walls. Other parts still look very much like the old communist Russia, with even a statue of Lenin still standing strong. But despite the colors, Barentsburg wouldn’t be my place of choice if I had to stay in Spitsbergen for a while (which is something I’d really like).